In prose so light that sentences nearly float up from the page, Lovell (A Rage to Live, 1998, etc.) chases the Mitford sisters (Nancy, Pamela, Diana, Unity, Jessica, and Deborah) hither and yon, from mansion to prison, from Hitler’s hideaway to the top of the bestseller lists. Lovell declares that she had originally intended a sort of “frothy biography” but instead found so many conflicts, passions, and personal tragedies that the story darkened. Not really. Although there are indeed numerous family crises and catastrophes (unexpected deaths—one of Jessica’s children, a ten-year-old, was delivering newspapers when he was struck and killed by a bus—infidelities, and financial reversals), the story always rolls merrily along with little trenchant or compelling analysis of the meanings or effects of the events. So much froth remains. 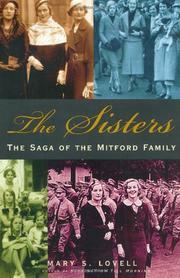 Still, the much-chronicled Mitfords remain a family with astonishing histories. Diana and Unity were infatuated with fascism and charmed by Hitler (Lovell does not believe they ended up in the sack). Unity, in fact, was so alarmed when England and Germany went to war that she shot herself in the head, somehow survived, and, in Lovell’s words, “remained childlike for the rest of her life.” (Hitler, ever accommodating, paid all her medical bills and saw that she got safely to Switzerland.) Back in England, Diana, whom the government considered a security threat, sat out three and a half years of the war in prison. Lovell can manage only the obvious: “This was the nadir of Diana’s life.” Jessica—denied an education by her parents (who saw no point in it for young women)—rebelled by becoming a Communist and later emigrated to America, where, after becoming a citizen, she found herself being grilled by the California Un-American Activities Committee. Lovell does not do justice to the Mitfords’ impressive, varied writing careers, often contenting herself with providing the titles and a jacket-flap kind of summary.